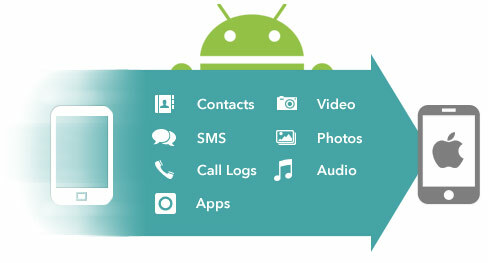 • Directly move content including SMS, contacts, photos, videos, call logs and apps without any risk or loss of quality. • Backup all kinds of data from your devices to PC and restore them easily. • Completely wipe all of your private information from device without restore. • Restore backup from BlackBerry & iTunes and transfer them to Android. Supported Networks: AT&T, Verizon, Sprint, T-Mobile and other more. .
We all know that near all mobile phones makes it very easy to delete the sensitive information simply by press 'Delete' or 'Restore Factory settings'', but you may not know that simply deleting the data off your phones doesn't actually delete it; the files are just hided from immediate view, they are still there for anyone with the right tools to find them back, in order to completely erase data from your phones and protect yourself against identity theft. You can try professional erasing feature of the Phone Transfer application. It can take much more drastic measures that overwrite your drive space with ones and zeroes; none of recovery tools can be able to retrieve them. 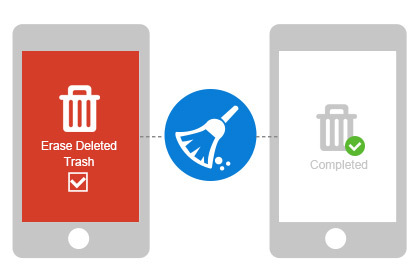 Erase existing data: Erase everything on your iDevice or Android phone in 1 click. Erase deleted data: Deeply scan your iDevice or Android phone and erase all deleted data in the phone memory. Backup and Restore Phone to Mac : To avoid that you may lose data on your phone, with this program, you can backup all files of your phones to personal computer, then restore data from previous backup files easily. Extract BlackBerry Backup to Andorid and iDevice : This tool makes it extremely easy to extract data from BlackBerry backup files and directly transfer it to Android and iDevices. Restore iTunes & iCloud Backup to Android : This Mac phone transfer application allows you to restore backups from iTunes and iCloud, and transfer SMS, contacts, photos, call history, and other data iTunes, iCloud to Android phone. iPhone XS/XS Max/XR, iPhone X/8/7, Samsung Galaxy Note 8, Samsung Galaxy S9/S8/S7, Sony Xperia XZ/XA/Z5, HTC U11/M10/M9, OnePlus 5/3T/3, Motorola Z/X/G, LG V20/G6/G5, HUAWEI, ZTE, Acer and 2000+ more. Galaxy Tab 3V, Galaxy Tab A 9.7/8.0, Galaxy Tab 3 Lite 7.0 VE, Galaxy Note PRO 4G, Galaxy Tab 3 3G, Galaxy Tab f3 Wi-Fi, Galaxy Tab 3 Wi-Fi, Galaxy Note 8.0 LTE, Galaxy Note 10.1 and more. iOS 12/10/9/8; Windows Mobile, Blackberry OS and Nokia Symbian. Having used this software, I have found it very useful to save all my contacts on iPhone and also able to transfer contacts and data from android. Would highly recommend. This is a great application I never used before; it has helped me in transferring many files between devices without a hitch, easy to use!